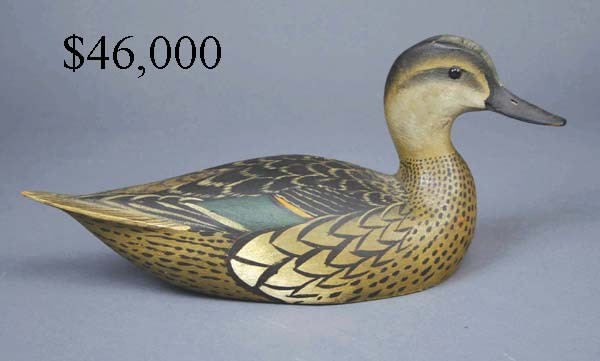 This was the 3rd highest grossing decoy auction ever. 800+ lots. 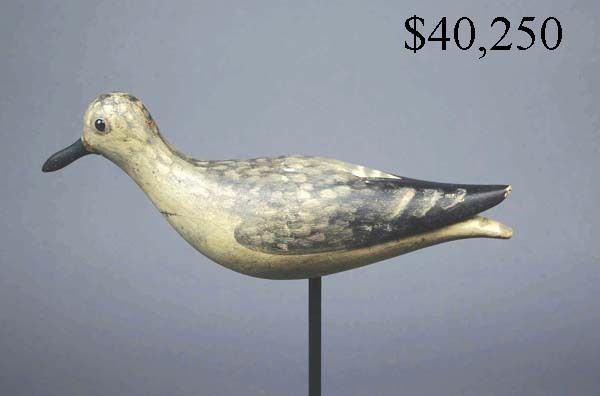 Featuring decoys from the collections of Janet & Ed German, Jack Conover, Henry E.I. Dupont II, and also featuring the decoys from the collection of William J. Mackey, Jr. by descent through the Mackey Family. Guyette & Schmidt, Inc. conducted their annual fall decoy auction on November 8th & 9th, 2006, at the Talbot County Community Center. The sale grossed $4.5 million with 59 lots selling for over $10,000 and 4 lot selling for over $100,000. It was the 2nd highest grossing decoy auction ever held. As was the case in their April and July 2006 auctions, prices were extremely strong. Top lot in the sale was a "dust jacket" feeding plover by Elmer Crowell of Cape Cod, Massachusetts. It sold for more than twice it's high estimate at $830,000. 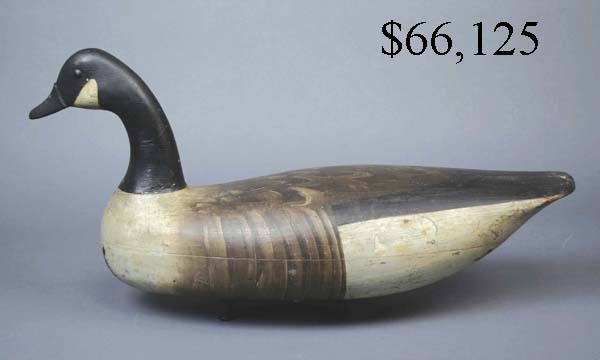 The price established a new world auction record for any decoy. 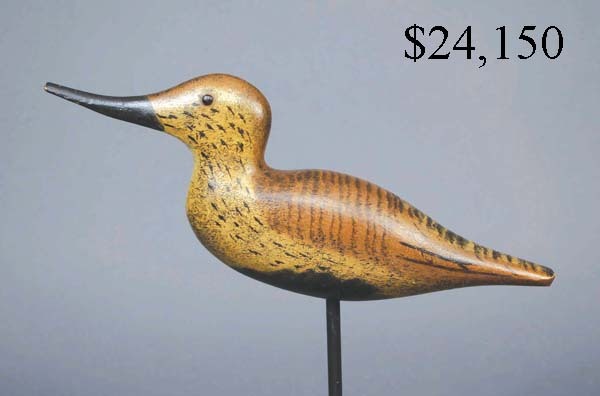 The previous record price was achieved in January 2003 when Guyette & Schmidt, Inc. in a joint effort with Christie's sold a preening pintail by Crowell for $801,500. A preening curlew, circa 1880, by Thomas Gelston of Long Island, New York sold for 8 times it's estimate at $467,000. 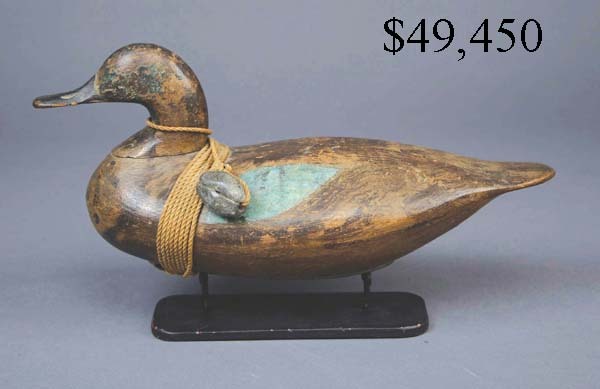 This established a record price for any New York state decoy ever sold and was the 6th highest price ever paid at auction for a decoy. 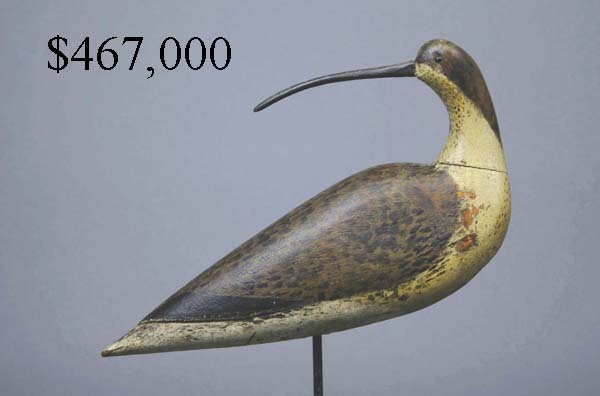 A running curlew, circa 1870, by Nathan Cobb, Jr. of Virginia sold for 3 times its estimate at $390,000, establishing an auction record for a Virginia decoy. 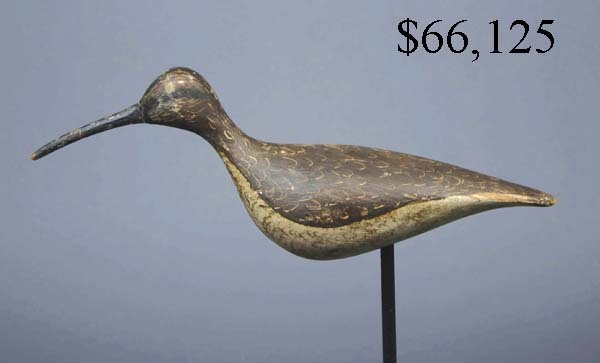 All three decoys were from the world renowned collection of William J. Mackey, Jr. Around 50 decoys in this sale were retained by the Mackey family when the collection was sold in 1973. Frank Schmidt and Gary Guyette assembled over 750 decoys and related items from collections and directly out of houses all over the United States and Canada. 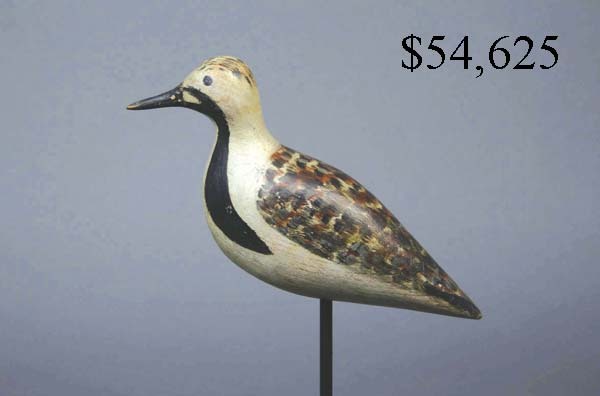 Prices for shorebird decoys and decoys from New England and New Jersey. 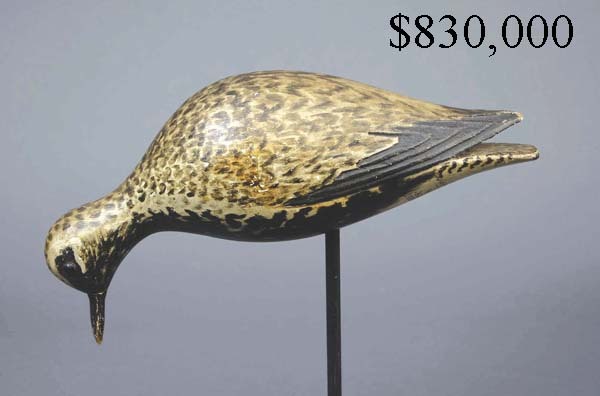 The sale featured decoys from the collection of William J. Mackey, Jr. Mackey was a pioneer decoy collector in the 1950's & 1960's who wrote the book "American Bird Decoys". 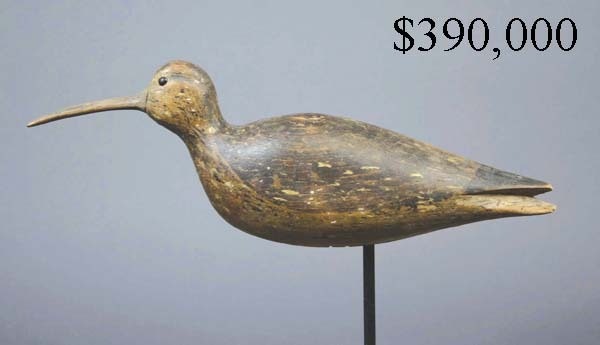 Many items sold for 2 or 3 times their estimates as new buyers competed with decoy auction regulars for the better decoys.